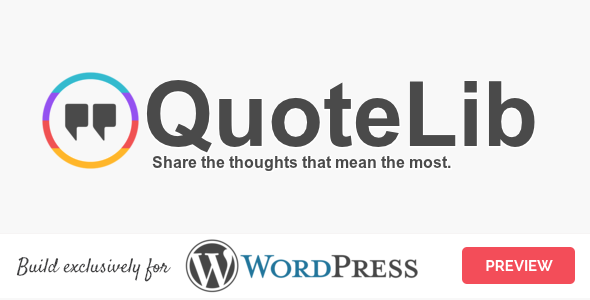 Include quotes in any post, page, template or widget. Indexed and searchable authors page. Include images from the Media Library or the web. Supports multiple widgets, galleries or quotes on the same page with many options for how your quotes are displayed. Enable editors of your blog to manage the quotes. Backup and Restore! Supports both import and export of (.json) and (.csv) formats.